Get your third graders' artistic juices flowing while learning about compound words! With this worksheet, your students will make compound words come to life with their illustrations and diagrams. 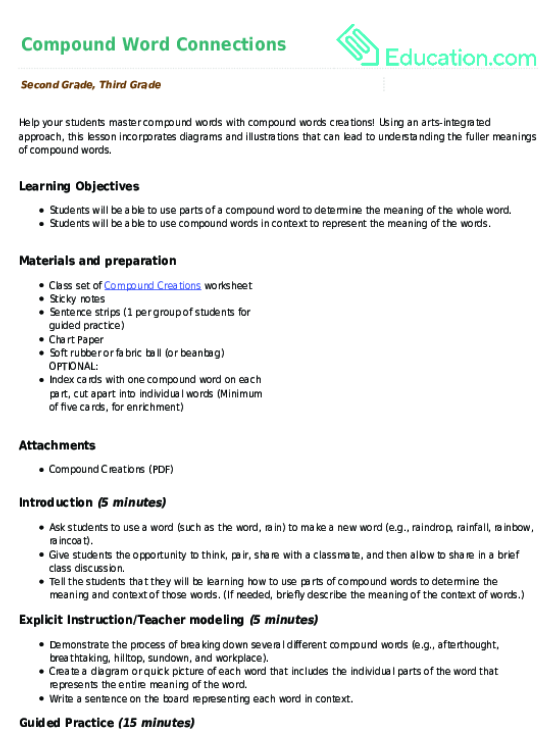 Use this worksheet with the lesson plan, Compound Word Connections. Use this worksheet to teach your students to write compound sentences with the support of sentence frames as they differentiate between literal and nonliteral meanings of idioms.